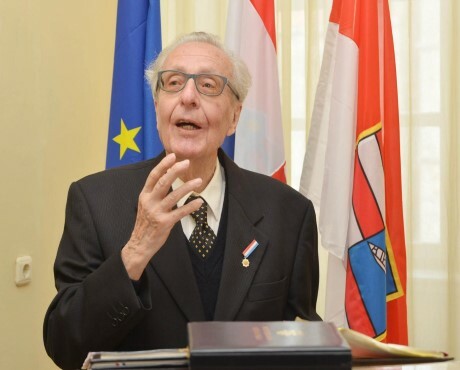 Longstanding former IUC course director and friend of Inter-University Center, Prof. dr. Richard Wisser from University of Mainz has passed away on 12 March 2019. Prof. dr. Richard Wisser was born in Worms on 5 January 1927. He studied philosophy, psychology and comparative cultural studies at University of Mainz. In 1954 he was promoted to Dr. Phil. by Prof. Dr. Fritz-Joachim von Rintelen at University of Mainz with the dissertation about Leibniz and Vico. His main research areas were philosophy of Karl Jaspers and Martin Heidegger. From 1979 to 1991 Prof. Richard Wisser, in cooperation with late Prof. Branko Bošnjak from University of Zagreb organised number of philosophical courses (‘’Karl Jaspers’’, ‘’Martin Heidegger’’, ‘’Ethik auf neuen Wegen’’, ‘’Geschichte und Geschichtlicheit als philosophische Frage’’, ...), in which each year, besides more than 10 lecturers, participated over 30 students from all parts of the world, mostly from Germany, Croatia, other parts of former Yugoslavia, Turkey, Netherland and USA. From the beginning of the aggression on Dubrovnik, Prof. Wisser sent significant humanitarian aid, mostly in medicine, according to the list submitted by the Dubrovnik General Hospital as the most needed. He wrote about the attack on Dubrovnik in German press and wrote number of poems dedicated to Dubrovnik, its tradition and cultural heritage. Prof. Wisser was among the first foreign visitors who came to Dubrovnik in spring 1993 and with friends from Mainz organised donations of help for the burnt and destroyed villages of Dubrovnik surroundings. In cooperation with colleagues from University of Hamburg and some other German universities, he took part in collecting donations for the rebuilding of the burnt IUC building. People like Prof. Wisser made the IUC project succeed, develop and remain alive in spite of many obstacles. 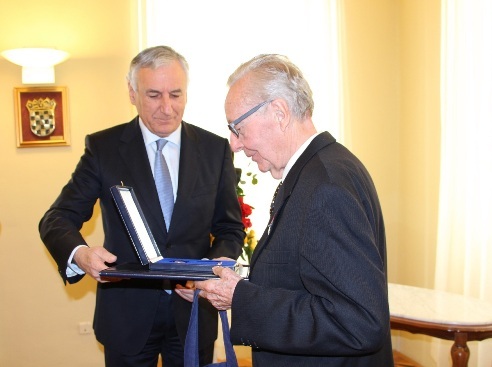 Because of his selfless commitment, upon the suggestion of Interuniversity Centre Dubrovnik, President of Republic of Croatia Mrs. Kolinda Grabar Kitarović, has awarded Prof. dr. Richard Wisser with the Order of the Croatian Star with the Effigy of Katarina Zrinski. Mr. Nikola Dobroslavić, President of Dubrovnik-Neretva County, as an official representative of the President of Croatia presented the Order to Prof. Wisser, in Dubrovnik, on 24 March 2017. The memory of and the legacy of Prof. Wisser remains permanently with the IUC academic community.